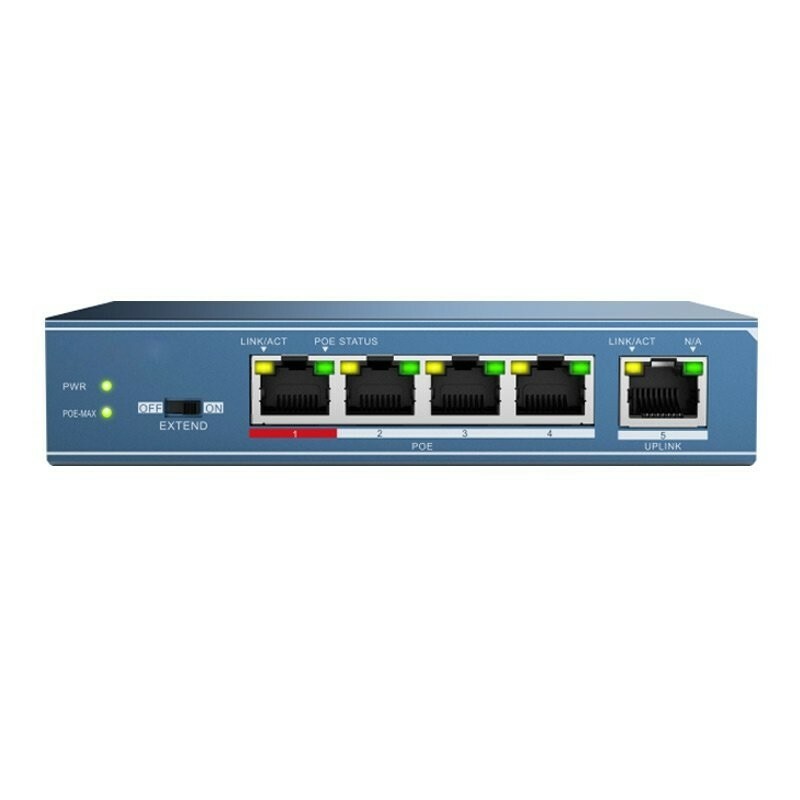 This 4-Port Gigabit POE switch is able to power 4 IP cameras while leaving a separate uplink port to connect to your local network. 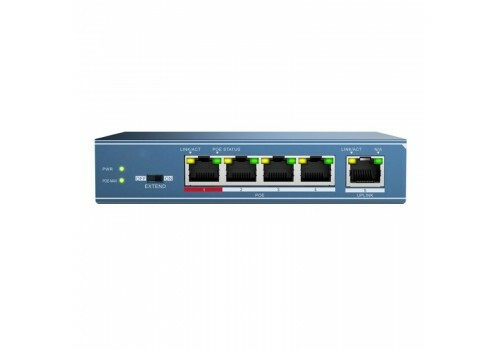 It has a max Power over Ethernet budget of 40 Watts. 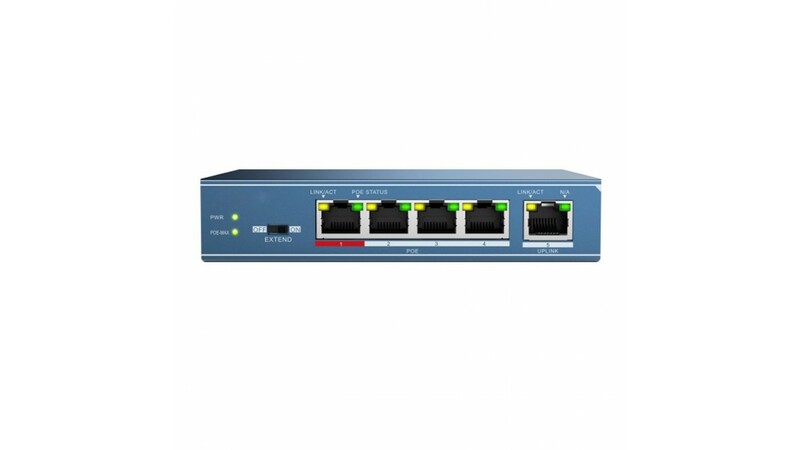 1 Port with POE Extend Feature. With the POE Extend Mode on, it can extend power and video signal up to 750ft via Cat. 5e twisted pair or above. @ 10Mbps.